I have always been fascinated with space. I have an entry level telescope and have always been a star gazer. Therefore, I am so excited that the new Star Trek movie is coming out soon. Star Trek Beyond! I will be in the front row. Why you ask? I was a Trekkie from way back. At Allegheny College, we had a whole dorm lobby filled with Trekkies after dinner watching back to back Star Trek re-runs on the Cleveland affiliate station. I watched the originals in the 60s and then when I was in college, it was great entertainment before we had to go back to the dorm room and grind for another test or complete another paper. Star Trek was always interesting because Gene Roddenberry created it as a modern day version of the old Gulliver’s Travels. We all became interested in the characters- Captain Kirk, Sulu, Bones McCoy, Scotty( beam me up), Chekov, and the iconic Vulcan, Mr. Spock. Spock was played by Leonard Nimoy who did a masterful job creating the character who was basically a rational thinking alien who was also part human. His history is well explained in the series but he was the right hand man to Captain Kirk. Spock was always in control contrasting the emotional Captain. 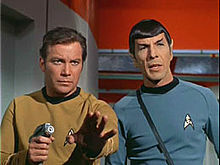 I used to love the Vulcan mind warp when Spock could delve into the recesses of your mind with a touch to your shoulder. He also could put you out with the same shoulder grab. He was larger than life. He was a Vulcan, and I met him one day, a long time ago in a galaxy far, far away. My sister was living in New York City in the 80s hosting a TV show called Romper Room. I would visit her and we would take in Broadway shows and classic New York places to eat. One night before we were to go to a show, we stopped to get something to eat at Sardi’s. This was a spot that a lot of Broadway show people would frequent and actors would frequent between show times. There are pictures all over the walls of famous folks and as I was perusing the photos, I noticed a familiar figure sitting in a booth to my left. It was Spock!!!! I whispered to my sister and we both acknowledged the presence of Leonard Nimoy. I wanted to say hello and tell him how much I enjoyed his character over all of the years but I didn’t want to bother him. 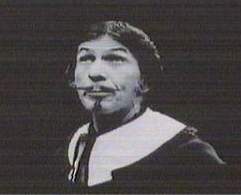 Somehow, I needed to make a connection and I remembered that I had seen him play Malvolio in the Pittsburgh Public Theater production of Shakespeare’s iconic “Twelfth Night.” He did a great job and I sheepishly approached his table and introduced myself. I told him how much I appreciated his performance at the Public and mentioned nothing about Star Trek. To my great surprise, he beamed!!! He said,” You saw that production in Pittsburgh?” I acknowledged in the affirmative and he invited me and my sister to sit down and have a drink with him and his lovely wife. We blushed and said that we were headed to a show and could not stay but he asked me more questions about Pittsburgh and how much he enjoyed his time there. I think the guy was so surprised that someone recognized him outside of his classical character and he was anxious to have more conversation about it. He was so gracious as was his wife, and thanked us for stopping to say hello. I am so happy I didn’t say something stupid or embarrassing about him being a Vulcan. ” Hey Spock – where are your ears?” Or some other random comment that I am sure he has heard thousands of times. One thing I have learned about famous people is that in general, they are just people like you and me. Sometimes they are surprised about the depth of their notoriety and are almost embarrassed by it. Most famous people whom I have met are actually quite humble and although we think of them as larger than life, they really are just plain folks who have had remarkable achievements. They value their privacy but in some cases, they long to discuss topics outside of their notoriety. Everyone likes their privacy and I am sure that many famous celebrities guard their’s with a fervor. However, sometimes you make a connection where you are welcomed and interesting conversations are the result and the celebrity feels engaged and not used with a “selfie” or some other bothersome annoyance. Such was the case with Mr. Nimoy. No one will ever replace him as the Vulcan Spock. But on one night at Sardi’s in New York, he was recognized for a performance in keeping with his extensive training as an actor. Mr. Nimoy is no longer with us but his words still ring encouragement- “live long and prosper.” Thanks for reading. This entry was posted in American Culture, Culture, Humor, Pittsburgh, Television, Uncategorized and tagged Allegheny College, Miss Molly, Romper Room, Sardi's, Star Trek, Television. Thanks (as always) for this Pat! If you ever get a chance and have some time to kill, check out this book: https://www.amazon.com/Incredibly-Wonderful-Miserable-Life-Anti-Memoir/dp/1439125465. It was written by Leonard Nimoy’s son, Adam. 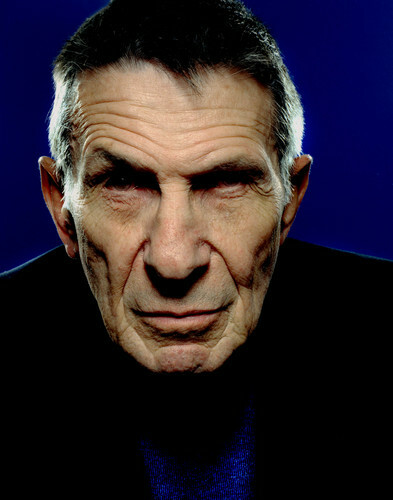 Very interesting look at the strange reality of being the son of both Leonard Nimoy and “Spock”. I met Adam at a Book fair in NYC. Very gracious and self deprecating guy. Interesting read….